Founder and Leader of Glorious Word and Power Ministry International Rev. 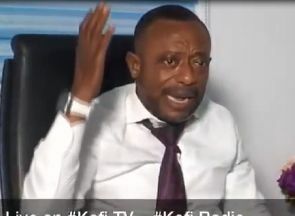 Prophet Isaac Owusu Bempah went into a rampage during an interview on ‘Ghana Must Know’, an afternoon current affairs program hosted by Justice Kwaku Annan on Accra-based Hot 93.9FM, Thursday December 13, 2018. Rev. 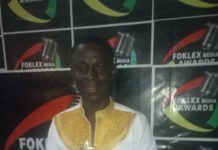 Owusu Bempah’s anger comes at the back of allegations leveled against him by former Occult grandmaster, Evangelist Dominic Appiah that he is an occult pastor. 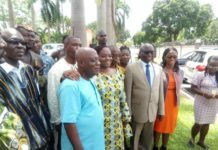 It would be recalled that,Evangelist Dominic, who was giving a frightening account of horrific activities of occult pastors during an interview with Justice Kwaku Annan alleged that Duncan Williams, Ebenezer Opambour, Angel Obinim, Rev Obofour and Rev.Owusu Bempah are occult prophets throwing dust in the eyes of Christians. 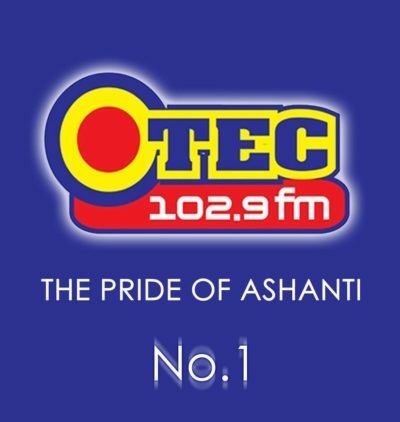 “Kwaku you are behaving like Satan who challenged God to perform miracles…Yes, you are a Satan..look i didn’t come here to answer these stupid questions…I’m not a small boy for you to ask me these insane questions…I swear if you don’t produce Dominic i will sue the station…i came here to answer questions alleging that am Occult”,Rev.Owusu Bempah angrily said. 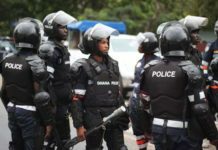 To the chagrin of listeners and viewers watching live on Facebook , Rev.Owusu Bempah, accompanied to the studio by his bodyguards, Abronye DCE and Ghana Gas PRO Ernest Owusu Bempah, vandalized an apple laptop and one of the microphones in the studio.